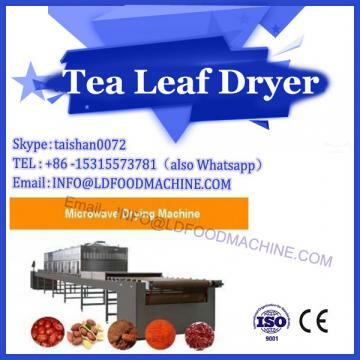 With the rapid development of electronic technology, new industry microwave drying machinery and equipment came into being. 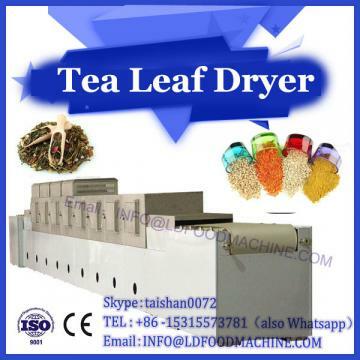 At present, the food industry of the developed countries in the world is increasingly using this new type of heating device. Industrial microwave oven uses microwave as heating energy source. Microwave is actually composed of electromagnetic waves with frequencies of several billion Hz per second. When food is heated by microwave, food is exposed to microwave electric field. Under the action of microwave electric field, water, the most common and abundant polar molecule in food, produces billions of violent vibrations, violent collisions, friction and rotation per second, resulting in kinetic energy, and in a very short period of time makes the food inside. Fever, gradually heating the whole food from inside to outside. It is exactly the opposite of the traditional heating method. Because of the special function of microwave, the most characteristic of industrial microwave oven is working at normal temperature. In addition, industrial microwave ovens also have the advantages that other industrial heating devices do not possess. Because industrial microwave ovens can heat food instantaneously, they can greatly save time for food preparation, drying, sterilization and thawing. Compared with traditional food heating methods, microwave can save two-thirds of the time, especially in thawing. Although the industrial microwave oven power is relatively large, but because the cooking time is short, so generally than the infrared heating device to save 50-70% of electricity, the dehydration capacity per kilowatt-hour is three times that of infrared. Microwave pasteurization of fresh bread, cheese, meat, fish and shrimp packaged in plastic bags can kill all bacteria in a short time and extend the shelf life of food by 40-60 days. Microwave will not affect the internal structure and appearance of plastic packaging and its transparency. Foods processed by microblogging can maintain vitamin B, vitamin C and other nutrients to the greatest extent, and the weight loss of cooked food is less than that of ordinary cooking methods. In the past, the shrinkage rate of steamed meat was 13-20% in the traditional heating device, but only 3-4% in the combined industrial microwave oven. Microwave heating equipment occupies less space than ordinary heating equipment. Generally, industrial microwave ovens can complete the work of more than two ordinary heating equipment, thus saving equipment space and a lot of equipment purchase costs. In addition, industrial microwave ovens also have the advantages of easy cleaning and easy maintenance, installation and operation costs are relatively low. 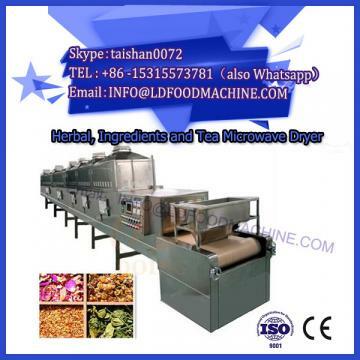 It is precisely because of these advantages that industrial microwave ovens have been widely used in food drying, cooking, baking, sterilization and thawing. In recent years, the major progress of industrial microwave oven is the joint application with other heating technologies (such as hot air, gas, infrared and so on). Industrial microwave oven has a variety of functions, expands the scope of application of microwave oven, makes up for its shortcomings, improves production efficiency and product quality. Now a new generation of industrial microwave ovens have adopted computer technology, which can put frozen food raw materials (such as chicken or pork) directly into the oven, computer according to the weight of food raw materials, will automatically display the freezing and cooking time, and according to the input instructions, control the microwave oven to process it into the United States. Tasty food. Our country started developing industrial microwave ovens in recent years. At present, the total power of industrial microwave ovens used in China's food industry is only tens of kilowatts, while the total power of the United States and Japan has exceeded 10,000 kilowatts. It can be seen that there is a big gap in China's industrial microwave ovens, so it is necessary to speed up the development and popularization of industrial microwave ovens. China is a country with a shortage of electric power. It is our national policy to save energy. Since industrial microwave ovens have obvious energy-saving benefits compared with other food heating devices, it is necessary for China's food industry to translate new industrial microwave ovens as soon as possible to replace those energy-consuming and time-consuming electric heating devices so as to make China's food industry more efficient. The heating skills and equipment have been upgraded to a new level.